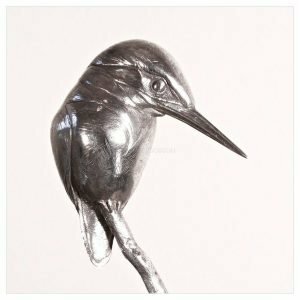 Sophie Louise White is best known for her contemporary wildlife sculptures and she is renowned for capturing the intrinsic essence of her subject. Irrespective of size, she sculpts with a harmonious balance of movement, elegance and motional poise. 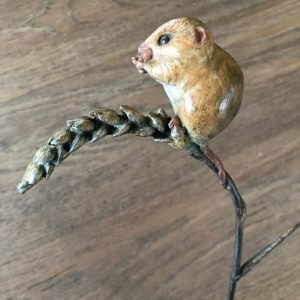 With an astute eye for animal anatomy and forms that function, Sophie manipulates her materials to create an elegant, aesthetically balanced signature style. 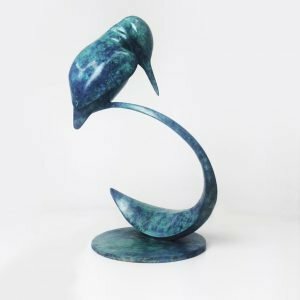 She gained a First Class Honours degree in Figurative Sculpture from London’s University of the Arts before gaining a residency at a renowned Hampshire Bronze Foundry. This residency gave Sophie a valuable knowledge of the foundry process, and an ability to manipulate her materials with confident translation from subject to sculpture. Often choosing to colour her work herself, Sophie finishes each piece with rich and varied patinas, consciously chosen to compliment subject and surface.